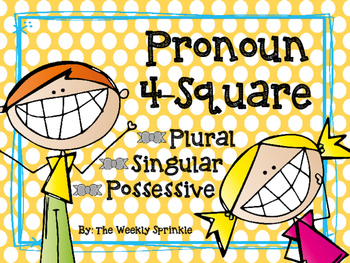 Your kids will have fun reviewing singular pronouns, plural pronouns, singular possessive pronouns, and plural possessive pronouns with this game! 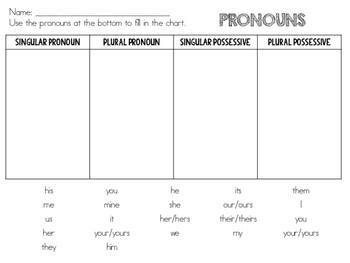 There are four large pages to label the corners and pronoun cards to print for the kids, which you may have to duplicate or eliminate to get one for each child in your class. 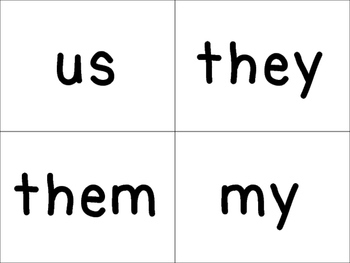 Simply give each child a card and using a signal (chime, bell, clap etc.) the kids go to the designated corner. After a quick check have the kids switch cards and then use the signal for the kids to be at their corner...and repeat! 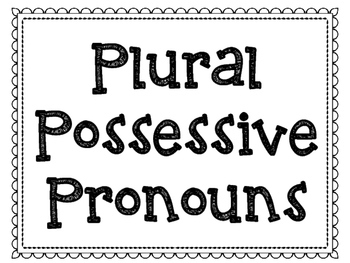 There is a bonus independent practice included as well. There is a cut and paste version and a fill in the blank/word bank version!